A valuable artifact is known as "King's Seal" is stolen by a mysterious group of people during transport in Soul Society. Hitsugaya Toushiro, the 10th division captain of Gotei 13, who is assigned to transport the seal fights the leader of the group and shortly after goes missing. After the incident, Seireitei declares Hitsugaya a traitor and orders the capture and execution of Hitsugaya. Kurosaki Ichigo refuses to believe this, and along with Matsumoto Rangiku, Kuchiki Rukia and Abarai Renji swear to uncover the real mastermind of the stolen seal, find Hitsugaya and clear his name. Meanwhile, a rogue Hitsugaya searches for the perpetrators and uncovers a dark secret regarding a long-dead shinigami. Bleach: The DiamondDust Rebellion is directed by Noriyuki Abe, and co-written by Michiko Yokote and Masahiro Ōkubo, and the theatrical release was on December 22, 2007. To promote the film, the opening and closing credits of the Bleach anime from episode 151-154 use footage from the film. Kubo also published a special manga chapter focusing on Hitsugaya’s past to further promote the film. Bleach: The DiamondDust Rebellion (劇場版BLEACH The DiamondDust Rebellion もう一つの氷輪丸 Gekijōban Burīchi Za Daiyamondo Dasuto Reberion Mō Hitotsu no Hyōrinmaru, Bleach: The DiamondDust Rebellion, Another Hyōrinmaru) is the second animated film adaptation of the anime and manga series Bleach. The animation is comparable to the TV show, which is good but not great. For a movie, you would expect a better production. The theme music for the film is “Rock of Light” (光のロック Hikari no Rokku) by Sambomaster. Watching how some of these characters act in this movie infuriate me. Hitsugaya acts all lone wolf and refuses to talk so more misunderstanding can occur, in order to stretch out the “plot”. 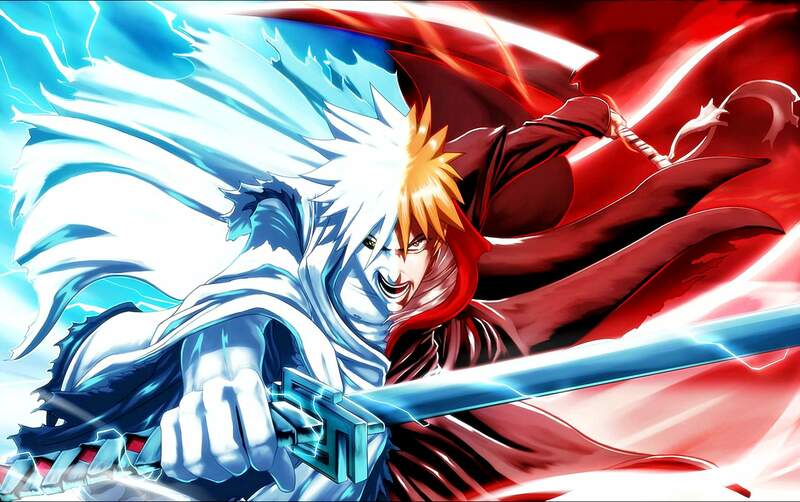 Most of the characters in Bleach are considered the staple characters, so they are never going to be killed off. You feel zero concern for their safety. They are also very stale as most never get developed beyond a certain point. That is why we always see the same character doing the exact same attack over and over, and is quite boring. The only dispensable characters are the one that you have never heard of or was just introduced. The plot also makes very little sense and pretty convoluted. You have a “friend” that once thought to be dead show up to steal a super important and powerful item that was never once mentioned in the TV. The antagonist is accompanied by twin girls with lightning and fire spell that was given zero backstories. The reason for the original conflict makes little sense other than to cause a rift. I feel like every new movie for Bleach is always related to Soul Society. Their bureaucratic stance seems to be the cause of a lot of strife. Very few attempts to stand up to this stupid society and we treat them like they are the good guy still. I think the reason I haven’t like any of the movies is this was the decline of Bleach. At the beginning of the TV series, new characters are constantly being introduced and developed. It was exciting and new. But once the Soul Society arc was completed, only a few evolved any further. In Ichigo case, he just keeps powering up like Son Goku. It’s hard to care for any of these characters as they don’t ever change. I may need to stop watching Bleach before I pop a vein. I would only recommend this movie if you just want a dumb action anime and is a die-hard fan of the series. Bleach contains graphic violence and is intended for young adults.